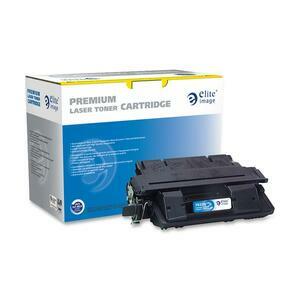 Raise your expectations and lower your printing cost with this Black Toner Replacement Cartridge for the HP LaserJet 4100/4100MFP Series. With the Elite Image cartridge, you'll enjoy maximum print performance, reliability and dramatic savings off the cost of the OEM cartridge. Elite uses only premium-grade components so you can be sure to get crisp, sharp text and graphics with every print. Yields 6,000 pages. Elite Image is ISO certified.